Check on iNautia.com all of the Used sailboats that we have. Find the Sailboats searching our website, we also have other types of boats available. 185.345 used sailboats for sale. Find your ideal sailboat boat, compare prices and more. Get an email alert for new ads matching your search. Buying a boat has never been so easy! Sailing boats are propelled through the action of the wind against its sails. Under the control of one or more people, the sails, along with the rigging, hull, keel and rudder, make up the system which transforms wind energy into the thrust that propels the vessel. 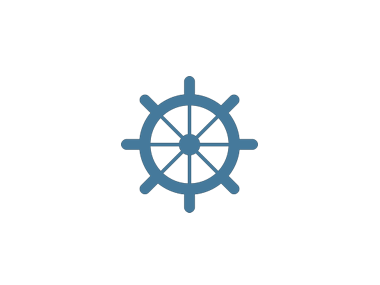 Knowing the components of sailing boats will help you choose the one that best suits your navigation plan. The size of a sailing boat can range from light sailing boats which are just over 2 metres long, to the huge yachts of over 100 metres. The dimensions of the sailing boats are expressed in metres or feet. To distinguish between different types of sailing boats we must know the elements that form it. The hull is the main part of the sailing boat and it floats. There are two large groups of hulls: monohulls, the most common in the market, and multihulls, in which the catamarans and trimarans are included. We can distinguish three hull shapes: round, bilge-keel and 'V'. The keel is the bottom of the hull, which goes from bow to stern running along the centre line; it is an integral part of the hull, it can have various configurations, it has a ballast, it is fixed and its main function is to provide stability. The rudder provides directional stability to the boat and helps the lateral force. The most common types of rudder are: keel, skeg, suspended or hanging, on the transom and double rudders. The rigging is made up of masts and sails which differentiate the various types of sailboats. The most common types of rigging are: masthead and fractional sloops, cutters, ketches, schooners and yawls.